Tracking the storm: Irma is heading northwest toward the Leeward Islands, traveling 14mph with winds of up to 120mph, CNN reports. 'Very significant': "We're looking at Irma as a very significant event," the executive director of the Caribbean Disaster Emergency Management Agency warns. "I can't recall a tropical cone developing that rapidly into a major hurricane prior to arriving in the central Caribbean." Per the AP, emergency officials say some areas may get pounded with 10 inches of rain, experience landslides and dangerous flash floods, and generate waves up to 23 feet as the storm draws closer. Growing stronger: Irma is expected to strengthen in the next couple of days, according to the US National Hurricane Center. The Washington Post reports that warm sea surface temperatures and favorable wind conditions are increasing the potential for the storm to intensify in the next 24 hours. Cape Verde storms: Meteorologists are calling Irma a "classic" Cape Verde storm, which form in the far eastern Atlantic and gain wind power as they track across the ocean. 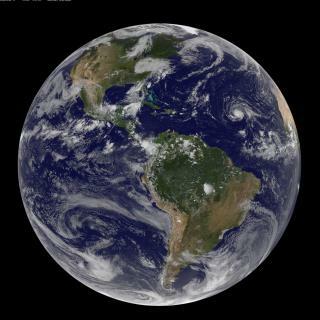 Past Cape Verde storms like Ivan, Hugo, and Floyd have proven to be large and powerful, according to Quartz. Where will Irma hit? : Though the path of the hurricane is unpredictable, warnings have been issued in the Caribbean for Antigua and Barbuda, Anguilla, Montserrat, St. Kitts and Nevis, St. Martin, Saba, St. Eustatius, St. Maarten, and St. Barts. A hurricane watch is in effect for Puerto Rico, Vieques, Culebra, the British and US Virgin islands, and Guadeloupe, while a tropical storm watch was issued for Dominica, the AP reports. Coastal states also on alert: Though it’s too soon to say, the hurricane can potentially make landfall in Florida, the Carolinas, and Georgia. It may also miss the East Coast entirely or veer off to the Gulf of Mexico. "This hurricane has the potential to be a major event for the East Coast," Evan Myers of AccuWeather said, noting that the strain on FEMA and other governmental resources so close to Harvey could be significant. Disaster kit essentials: Florida Gov. Rick Scott tweeted reminders to be prepared ahead of the storm. Here's where to find the state's recommended disaster kit list. This is just the beginning. Global warming has brought us back to the time when people built their houses in places that were safe from the monster elements, which have become a monster again. I really do think Karma factors in also. I predict this storm will take a hard right toward the eastern coast, hopefully it goes back out to sea. I feel for those in San Juan and the Bahamas they have no where to run to. If it destroys Mar a logo, I'm going to start believing in god again.